FSE is a relative newcomer to the carbon wheel market. The company began in 2006 as an OEM and then started developing its FSE (Filament Spin Evolution) construction process three years ago as an alternative to composite rim manufacturing. 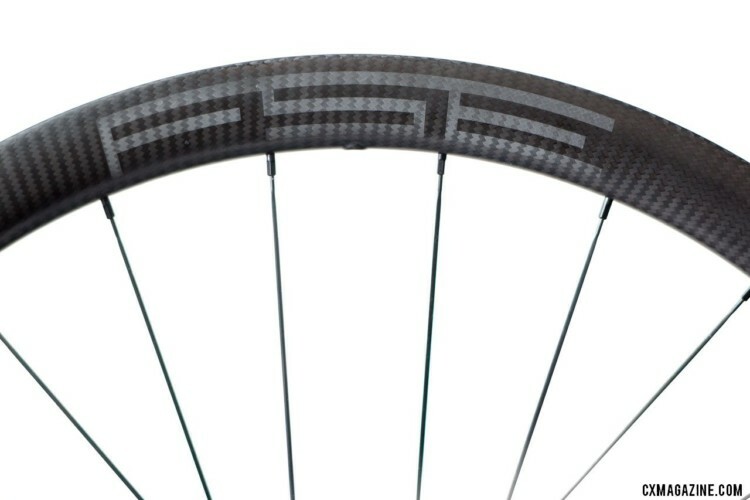 The company claims the process produces a stiffer and stronger carbon wheel than the traditional layup process, with higher quality and lower voids. FSE, originally an OEM manufacturer, eschews the typical rim manufacturing process of laying up multiple sheets of prepreg carbon fiber by hand in a mold to create a carbon rim. Instead, the company uses a computer-controlled process to wind carbon filaments around a mandrel. This process is not new—it has been used to create pipes and tubes—and fork manufacturer Wound Up Composites uses it to manufacture its fork legs and carbon steerers. The company claims the result is higher quality control, lower failure rates and a better stiffness-to-weight ratio. Readers might be familiar with the name FSE after our recent look at its EVO35CD carbon tubeless clinchers that have an 18mm internal rim width. The company also offers the more gravel-oriented 25mm wide $1,395 G40/30X model. FSE’s wide gravel rims join other wide carbon options we have recently reviewed, including the Irwin Kova XC 29er, Derby 23i and the 650b Boyd Jocassee. Today’s In Review spotlight takes a first look at FSE’s G40/30X carbon disc tubeless clincher and our first impressions setting it up for some gravel road adventures and high-volume cyclocross riding. If you like wheel choices, FSE’s catalog is likely a welcome sight. The company offers clinchers and tubulars, disc and rim brake options and has both in different widths and depths. 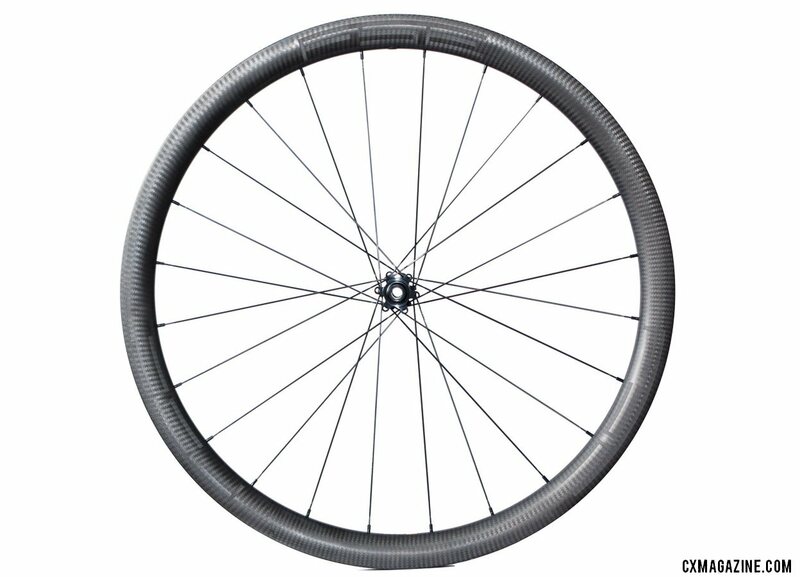 The G40/30X is a disc tubeless wheelset. The company provides two hub choices for full builds: the lighter FSE 420 with a claimed weight of 341g and heavier DT Swiss 240S that has a claimed weight of 375g. The FSE hub is 6-bolt and the freehub has 6 pawls. Customers have a choice between 12mm and 15mm thru-axles and quick release. Spokes for the wheelset are Sapim CX-Ray alloy spokes, 24 front and rear. 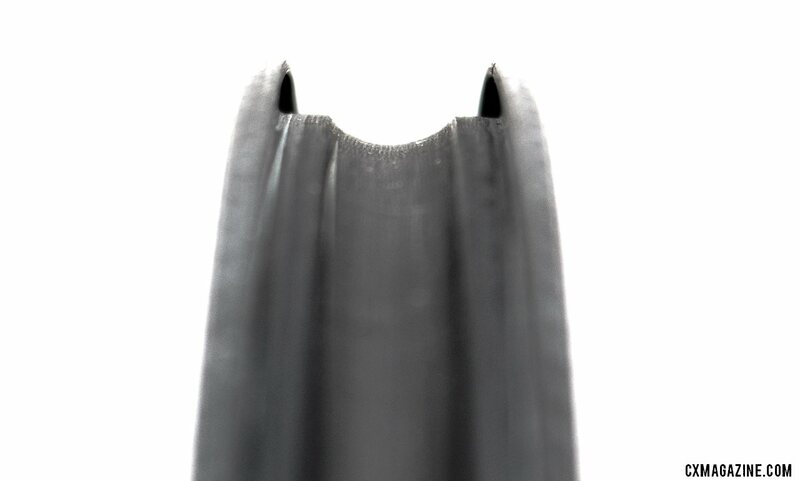 FSE offers its tubeless clinchers either with or without spoke holes. The undrilled version allows for tubeless setup without rim tape at a cost of an extra $100 for the wheelset. FSE built our G40/30X wheelset with drilled spoke holes (our EVO35CD review set was not drilled). Our test wheels have 12mm thru-axles front and rear, and we requested the lighter FSE 420 disc hub. The hookless G40/30X rim has an internal width that is 7mm wider than the EVO35CD tubeless clinchers. The 40mm deep rim has an internal width of 25mm and an external width of 30mm (hence the name). FSE claims its carbon manufacturing process produces rims 40% lighter than those made using conventional methods, but we found the EVO35CD rim weight of 450g was not exceptionally light. The G40/30X rims are lighter than their cousins, with a listed weight of 440g each. However, based on our measured weights—and confirmation from FSE’s Dan Kellerby—the rims are likely closer to 400g. 400g is still heavier than the claimed 325g of Stan’s Valor rims, but it is about 25g lighter than the Irwin and Derby rims. Our full test wheels weigh 611g front and 730g rear. The total weight of 1,341g is 109g lighter than the EVO35CD wheels we are testing. We couldn’t quite figure out where all the weight savings are coming from. Some are thanks to the drilled spoke holes, but the extra material on the non-drilled EVO35CD set only accounts for 10-15g per wheel. For reference, the $1,300 Irwin Kova XC 29er weighs 1,670g, the $1,470 Derby 23i 1,720g and the $2,000 Boyd Jocassee 1,650g. 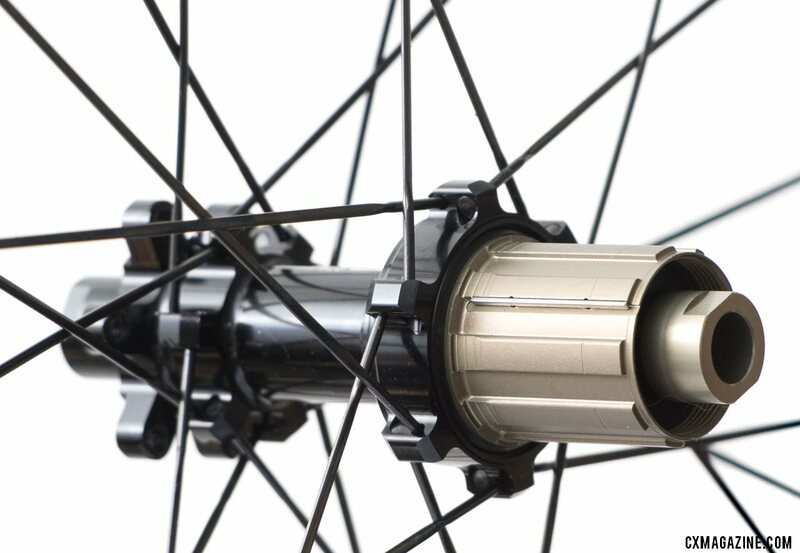 The 1,341g total weight for a disc wheelset is impressive, although even if the rims weigh 400g, some of the weight savings are thanks to the lightweight FSE hubs. Still, compared to other similar wheels, the G40/30X wheels are much lighter and some of the weight savings are likely as rotating weight. The hookless rims made our initial tubeless setup straightforward. 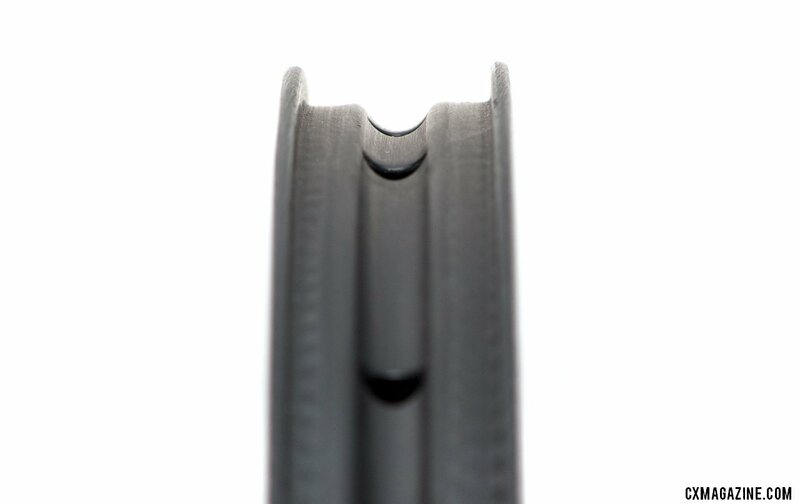 We immediately noticed the extra wide rim adds 2-3mm of width to inflated tubeless gravel tires compared to the narrower EVO35CD. We were impressed by how well the sealed EVO35CD rims held air, and our biggest quibble with the G40/30X rims is one that could be partially solved by choosing the sealed rim option. The wheels currently do not come with valves or tape. FSE’s Kellerby says the company is working with Effeto Mariposa on a tape for its rims that will likely be a narrow tape that only covers the center channel (similar to the Derby wheels). Kellerby says FSE is also working to source tubeless valves. In the interim, we have had success with WTB and American Classic valves on FSE rims, but believe wheels should come with pre-tested valves compatible with the rim shape since valves vary in terms of fit. After setting up both FSE’s drilled and non-drilled models, we would opt for paying the price and weight premium for the sealed rim (assuming it only adds the advertised 10g per wheel) just to reduce future in-ride headaches dealing with rim tape. The FSE G40/30X is a light wheelset at a price competitive with other wide, carbon tubeless wheels. With its wide rims, the wheelset seems well-suited to gravel’s high volume tires, but given many of us do not have to worry about tire width restrictions for our local cyclocross races, the higher tire volume and weight savings versus both the EVO35CD and other models are likely appealing for many of us as well. Stay tuned for a full review as we put the FSE G40/30X to the test on gravel roads and some local trails.